We are pleased to welcome you and your family, and introduce you to our hard working family/staff. We look forward to working with you. 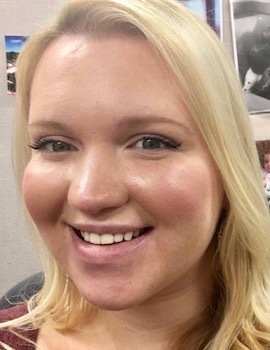 As our treatment coordinator, Marci has the opportunity to meet with all our new patients and work with them throughout their treatments to make sure they receive the best possible care. 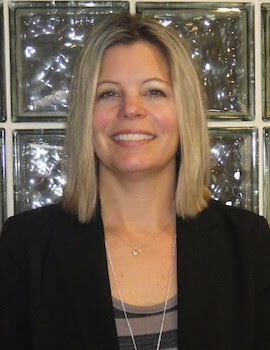 She has been with Pollack Orthodontics for more than 20 years and enjoys making all patients feel at home. Marci is the proud mom of two amazing children, Mackenzie and Brady. She enjoys the beach and spending time with family and friends. 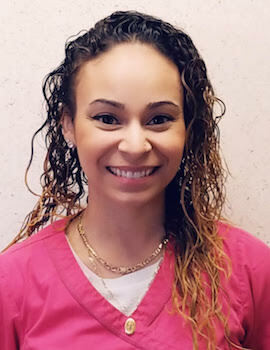 Melissa has been with us for more than five years and works closely with parents and patients to explain the various payment options availabe. Her goal is to work with you to make orthodontic treatment a reality that fits into your budget: coordinating payments with available insurance, health savings acoounts, etc., and making the process as seamless as possible. Melissa is the proud mom of two sweet girls, Chole and Aubrie. She has a hilarious and hardworking husband named Dan. Melissa enjoys hiking, a good book, and spending quality time with family and friends. 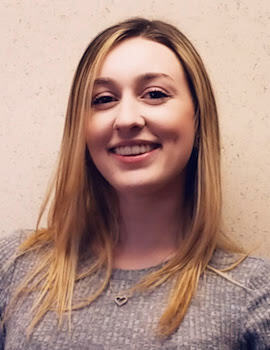 Sidney is our scheduling coordinator who will cheerfully help you book your appointments, answer questions, and connect you with other members of our staff as needed. She will greet you upon arrival and check you out at the end of each appointment; workng with each of you based on types of apointments needed and being as flexible as possible to meet any of your scheduling needs. She is an animal lover with two wonderful, rambunctious dogs, Ozzie and Domino. She enjoys going on hikes, spending time with her boyfriend, and eating good food. 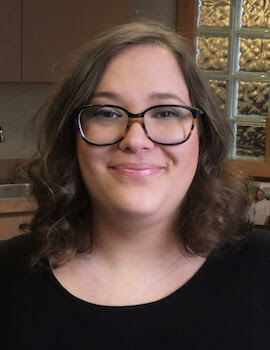 Alicia is our assistant financial coordinator and has been with Pollack Orthodontics for more than nine years. She helps with a variety of bookkeeping needs for the practice and provides supportive services to our financial coordinator. She is the proud and busy mother of Brayden, Lacey and Rylan. She loves hiking, traveling, and singing. Maria assists Dr. Pollack in the coordination, support, and needs of the clinic and the clinic team. 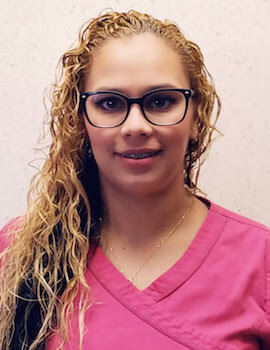 She has been with the practice for more than a dozen years and is fluent in Spanish and English. She loves seeing the transformation that takes place when our patients get their braces off. Seeing the excitement and pleasure on their faces and the joy on parents’ faces when treatment is complete is the best part of her job. Maria is the proud mother of two handsome young men, Ben and Sam. She enjoys playing golf with her husband Ed, hiking, and spending time with her cat Pinky. Mariser is a very talented chairside orthodontic assistant who has been with the practice for several years. She is bilingual in Spanish and English. She enjoys watching the amazing transformations in our patients and how their confidence changes and grows as a result of receving orthodontic treatment. Mariser is a proud mom of three wonderful kids: Sebastian, Andrea and Amaia. She loves sports, good food, and going on vacation with her husband and kids. Maggi, as we call her, has been a chairside assistant with Pollack Orthodontics for more than six years. She assists Dr. Pollack and the rest of the team in providing orthodontic care and helping us meet treatment goals. Her bubbly personality helps put our patients at ease. Maggi is the proud Titi (auntie) to her adorable niece Zaya. She enjoys going out to dinner, visiting friends, and taking tropical vacations. 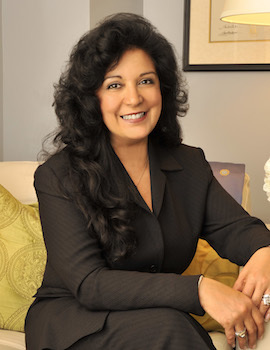 Dr. Santos is a clinical psychologist in a private practice in Glastonbury. 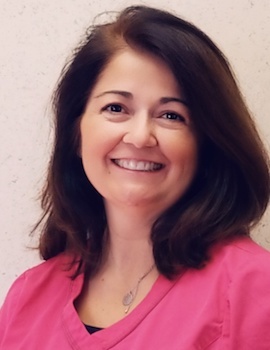 She has been a member of the administrative team at Pollack Orthodontics for nearly 30 years, and the “go-to person” for all corporation and personnel issues, including hiring, management, and general support services to Dr. Pollack and staff. She enjoys cooking, entertaining family and friends, hiking, golfing, tennis, movies and travel.